Electric vehicles are gaining more popularity each passing day. Driving an EV in Ontario isn’t a luxury or a rarity anymore. The next step we should take is investing in EV chargers. 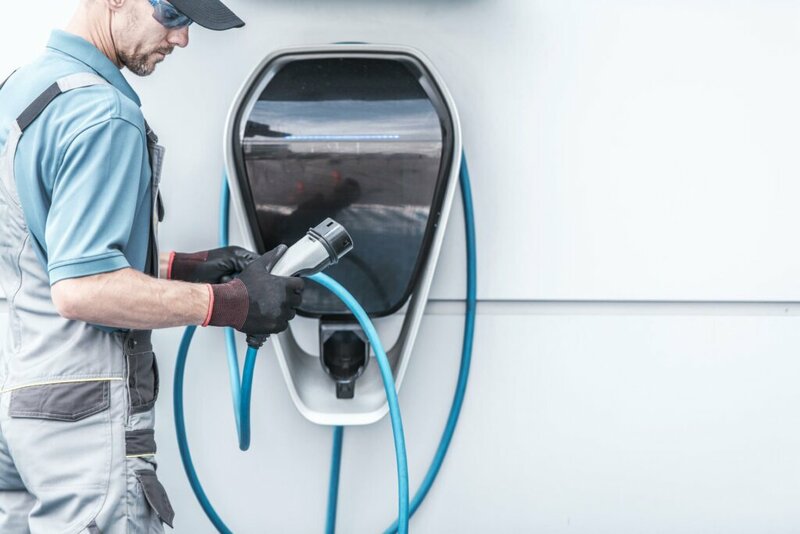 By installing these chargers, we encourage people to use EVS, which will prove to be of an enormous significance to our health and environment. EV drivers still have difficulties with finding appropriate chargers for their vehicles. The number of EV chargers is limited and this makes a great reason for you to install one on the parking lot in front of your offices. Available EV chargers are shown on map apps and your company’s name will always pop up in the phones of those who are seeking a nearby charging station. Think of this as an advertisement for your business. You will be attracting potential clients while giving them free and available EV chargers. You can also go a step further by giving free product samples or gifts for everyone that chargers their EV on your parking lot. In 2018, WEVCIP was released by the Ontario government. The acronym stands for Workplace Electric Vehicle Charging Incentive Program. Its basic goal is increasing EV traffic with providing more chargers that will make people comfortable with going EV. This program is mainly directed to managers and building owners and encourages them in installing level 2 EV stations for the employees, visitors or tenants. With doing this they receive 80% reimbursement from the government or a maximum of $7, 500 per charging space. The second thing provided by the Ontario government is the permit to charge strangers for using your personal EV chargers. This means that other than promoting your business, EV chargers can become additional sources of income. Another benefit is that with installing EV chargers, Canada’s Green Building Council will give your business LEED points. With LEED points you basically get accreditation for being eco-friendly and meeting sustainability goals. The consequences from this are only positive as you improve infrastructure, earn incremental revenue and stand out from your competitors. One of the ways a company can increase employee productivity is by being eco-friendly. Why is this important? People love making positive contributions to society and nature. The greatest gift for your employees and clients is the feeling that by working for or with you they contribute to society in much broader aspects. Going green and installing EV chargers increases awareness and boosts up moral values in the office. It also gives the feeling of acceptance and attention for the employees or clients that drive Electrical vehicles. You can order and install your EV car charger from E Charge Solutions. We install residential charging stations, condominium charging stations, industrial and commercial charging stations.